93% of B2B marketers are investing in content marketing to build their brands and produce leads according to Content Marketing Institute and MarketingProfs research. Marketers are so focused on producing sufficient, great, high-quality content that they overlook the need to drive revenues. Your content must move a portion of your audience to close the deal and purchase your product or service. If their content is so great, why isn’t it effective? The content is of poor quality containing me-too information or wrong ideas. The content is poorly targeted to meet customer needs. The content is poorly distributed and/or not optimized for consumption and findability. But the biggest issue keeping you from succeeding is that you need a (better) process to convert prospects into customers. 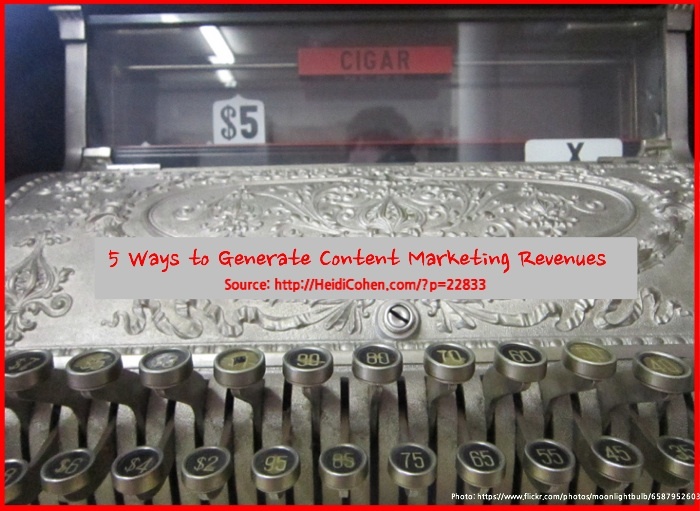 Here are 5 ways to make great content into content marketing revenues. 1. Always incorporate at least one call-to-action. Remember your audience lives in a content rich world. Once they’re finished with your information they’re onto the next piece unless you prompt them to act. Make your call-to-action stand out from the rest of your content. You don’t want readers to assume that it’s more text. Target appropriate next step(s). Don’t assume prospects are ready to purchase. Rather balance the subsequent action based on their needs, not yours. Also, bear in mind that prospects may not be ready to share what they deem to be personal information. Make every piece of content an entryway to your offering. 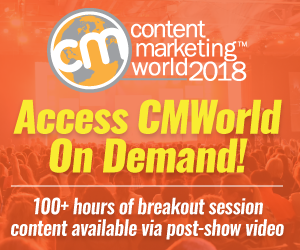 Since prospects can be over 70% through the purchase decision before marketers realize that they’re in-market, you must ensure that your content supplies access to the information they seek. Allow for different purchase paths. One size doesn’t fit all when it comes to landing pages. When prospects click on a link or call-to-action, the next piece of content they view must be related and similarly branded or you risk loosing them. Continue the information scent. 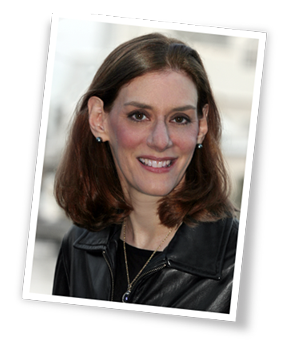 This is based on the Eisenberg brother’s book, Call To Action. Keep the look and feel of your content consistent so that readers don’t think that they’ve wound up on the wrong page. Create targeted landing pages where possible. Within your budget limits, tailor your landing pages and microsites. 3. Streamline the buying process. All of your great content effort is for naught if your purchase page(s) aren’t optimized to convert. Eliminate extra steps. Be ruthless in getting rid of extraneous processes and irrelevant data collection that isn’t required to close the sale. Don’t force prospects to register and sign in. This only works for Amazon which has built customer trust over time. Doing this hurts your conversion rate. Offer multiple sales channels. Let customers purchase when and where they want. This is particularly true for millennials who expect a consistent cross-platform experience. Allow customers to buy via your website, mobile device, phone or in-person. 4. Test your content marketing for optimal outcomes. Continually test each element of your content marketing. Don’t assume that what worked last year is still the most effective way to present your information. There are new trends and platforms. Start by testing the elements that yield the biggest impact. This means your calls-to-action and your purchase process. If these don’t get leads into your sales pipeline, then you’re significantly limiting your revenue potential. Plan your testing. While assessing content marketing results when there’s an issue is necessary, to ensure that you’re optimizing your content marketing budget, have a strategy associated with your marketing and editorial calendars. Allocate appropriate budget for testing. This includes different creative and distribution as well as metrics. 5. Measure your content marketing results. Don’t forget to keep score of your content marketing’s effectiveness in driving sales. Set goals for each piece of content. Don’t just create information and pray that it will achieve your objectives. Track content marketing metrics. Skip the vanity metrics like shares. Find out what is driving leads and prospects and what actually converts them into customers based on your business goals? Want your great content marketing to drive sales? Then ensure that you incorporate the appropriate elements to convert readers into prospects and ultimately customers. How do you drive content marketing revenues? Tags Call-to-action, content marketing metric, content marketing revenues. Bookmark the permalink. I still believe that content is not only king, but law. This article makes sense. It’s really easy to focus so much on good valuable content and a social syndication but for to include calls to action and other “Most Wanted Response” type excerpts. I started hitting my blog heavily and after about a month I was getting a steady stream of traffic but no subscribers. I couldn’t figure out why until I realized I had absolutely ZERO calls to action on my posts. As soon as I implemented that simple little strategy. (I put a CTA on my posts as well as a subsribe widget), I started to see my visitors turn into subscribers.